1.4 In this policy, “we”, “us” and “our” refer to Modern Barber Ltd.
2.2 We may process data about your use of our website and services (“usage data“). The usage data may include your IP address, geographical location, browser type and version, operating system, referral source, length of visit, page views and website navigation paths, as well as information about the timing, frequency and pattern of your service use. The source of the usage data is Google analytics. This usage data may be processed for the purposes of analysing the use of the website and services. The legal basis for this processing is consent OR our legitimate interests, namely monitoring and improving our website and services. 2.3 We may process your account data (“account data“). The account data may include your name and email address. The source of the account data is you or your employer. The account data may be processed for the purposes of operating our website, providing our services, ensuring the security of our website and services, maintaining back-ups of our databases and communicating with you. The legal basis for this processing is consent OR our legitimate interests, namely the proper administration of our website and business OR the performance of a contract between you and us and/or taking steps, at your request, to enter into such a contract. 2.4 We may process your information included in your personal profile on our website (“profile data“). The profile data may include your name, address, telephone number, email address, profile pictures, gender, employment details. The profile data may be processed for the purposes of enabling and monitoring your use of our website and services. The legal basis for this processing is consent OR our legitimate interests, namely the proper administration of our website and business OR the performance of a contract between you and us and/or taking steps, at you request, to enter into such a contract. 2.5 We may process your personal data that are provided in the course of the use of our services (“service data“). The service data may include subscription services. The source of the service data is you or your employer. The service data may be processed for the purposes of operating our website, providing our services, ensuring the security of our website and services, maintaining back-ups of our databases and communicating with you. The legal basis for this processing is consent OR our legitimate interests, namely the proper administration of our website and business OR the performance of a contract between you and us and/or taking steps, at your request, to enter into such a contract. 2.6 We may process information that you post for publication on our website or through our services (“publication data“). The publication data may be processed for the purposes of enabling such publication and administering our website and services. The legal basis for this processing is consent OR our legitimate interests, namely the proper administration of our website and business OR the performance of a contract between you and us and/or taking steps, at your request, to enter into such a contract. 2.7 We may process information contained in any enquiry you submit to us regarding goods and/or services (“enquiry data“). The enquiry data may be processed for the purposes of offering, marketing and selling relevant goods and/or services to you. The legal basis for this processing is consent. 2.8 We may process information relating to our customer relationships, including customer contact information (“customer relationship data“). The customer relationship data may include [your name, your employer, your job title or role, your contact details, and information contained in communications between us and you or your employer. The source of the customer relationship data is you or your employer. The customer relationship data may be processed for the purposes of managing our relationships with customers, communicating with customers, keeping records of those communications and promoting our products and services to customers. The legal basis for this processing is consent OR our legitimate interests, namely the proper management of our customer relationships. 2.9 We may process information relating to transactions, including purchases of goods and services, that you enter into with us and/or through our website (“transaction data“). The transaction data may include your contact details, your card details and the transaction details. The transaction data may be processed for the purpose of supplying the purchased goods and services and keeping proper records of those transactions. The legal basis for this processing is the performance of a contract between you and us and/or taking steps, at your request, to enter into such a contract and our legitimate interests, namely the proper administration of our website and business. 2.10 We may process information that you provide to us for the purpose of subscribing to our email notifications and/or newsletters (“notification data“). The notification data may be processed for the purposes of sending you the relevant notifications and/or newsletters. The legal basis for this processing is consent OR the performance of a contract between you and us and/or taking steps, at your request, to enter into such a contract. 2.11 We may process information contained in or relating to any communication that you send to us](“correspondence data“). The correspondence data may include the communication content and metadata associated with the communication. Our website will generate the metadata associated with communications made using the website contact forms. The correspondence data may be processed for the purposes of communicating with you and record-keeping. The legal basis for this processing is our legitimate interests, namely the proper administration of our website and business and communications with users. 2.12 We may process your name, email address, location, job role and expressed interests. This data may include to provide publishing and information services and products. The source of this data is you and/or your employer. This data may be processed for the purposes of marketing communication. The legal basis for this processing is consent OR our legitimate interests, namely publishing, events and information products OR the performance of a contract between you and us and/or taking steps, at your request, to enter into such a contract. 3.1 We will use your personal data for the purposes of automated decision-making in relation to sending emails. 3.2 This automated decision-making will involve to provide you access to digital products and services. 3.3 The significance and possible consequences of this automated decision-making are you will receive emails. 4.1 We may disclose your personal data to any member of our group of companies this means our subsidiaries, our ultimate holding company and all its subsidiaries insofar as reasonably necessary for the purposes, and on the legal bases, set out in this policy. 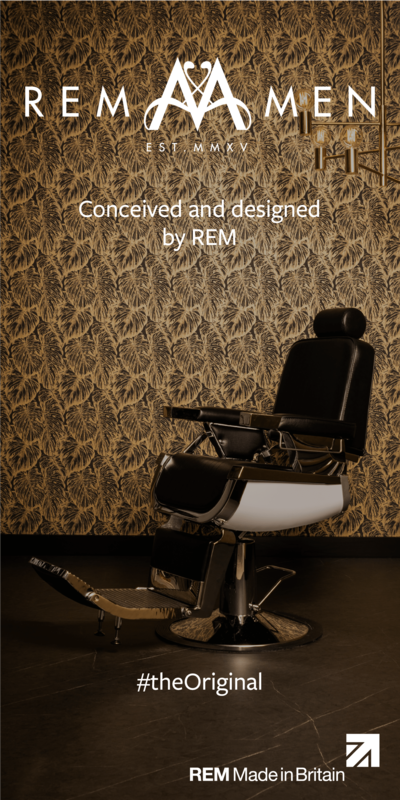 Modern Barber Ltd currently has no subsidiaries or ultimate holding company. Users will be informed should that change. 4.2 We may disclose your personal data to our insurers and/or professional advisers insofar as reasonably necessary for the purposes of obtaining or maintaining insurance coverage, managing risks, obtaining professional advice, or the establishment, exercise or defence of legal claims, whether in court proceedings or in an administrative or out-of-court procedure.4.3 We may disclose name, email, location and role to our suppliers or subcontractors identified as our advertisers, printers and partners insofar as reasonably necessary for the delivery of our services. 4.4 Financial transactions relating to our website and services are OR may be handled by our payment services providers PAYPAL, EVENTBRITE, SELZ. We will share transaction data with our payment services providers only to the extent necessary for the purposes of processing your payments, refunding such payments and dealing with complaints and queries relating to such payments and refunds. You can find information about the payment services providers’ privacy policies and practices at their websites. 4.5 We may disclose your enquiry data to one or more of those selected third party suppliers of goods and services identified on our website for the purpose of enabling Modern Barber Ltd to contact you so that we can offer, market and sell to you relevant goods and/or services. 5.1 In this Section 5, we provide information about the circumstances in which your personal data may be transferred to countries outside the European Economic Area (EEA).5.2 We and our other group companies have no offices and facilities outside the UK. 5.4 All suppliers and subscontractors are currently situated in the UK. (a) Name, address, email address, role, company name and expressed interests will be retained for a minimum period of 1 year following date of submission, and retained indefinitely until the data is no longer valid. (a) the period of retention of name, address, email address, role, company name and expressed interests will be determined based on validity and preference. 7.2 We will store all your personal data on secure servers and personal computers and mobile devices, and in secure manual record-keeping systems. 7.3 The following personal data will be stored by us in encrypted form: your name, contact information, password(s) and cardholder data]. 7.5 You acknowledge that the transmission of unencrypted or inadequately encrypted data over the internet is inherently insecure, and we cannot guarantee the security of data sent over the internet. 7.6 You should ensure that your password is not susceptible to being guessed, whether by a person or a computer program. You are responsible for keeping the password you use for accessing our website confidential and we will not ask you for your password except when you log in to our website. 8.1 We may update this policy from time to time by publishing a new version on our website.8.2 You should check this page occasionally to ensure you are happy with any changes to this policy. 8.3 We may OR will notify you of changes OR significant changes to this policy by email or through the private messaging system on our website. 9.3 You have the right to confirmation as to whether or not we process your personal data and, where we do, access to the personal data, together with certain additional information. That additional information includes details of the purposes of the processing, the categories of personal data concerned and the recipients of the personal data. Providing the rights and freedoms of others are not affected, we will supply to you a copy of your personal data. The first copy will be provided free of charge, but additional copies may be subject to a reasonable fee. When it becomes relevant you can access your personal data here. 9.8 You have the right to object to our processing of your personal data for direct marketing purposes including profiling for direct marketing purposes. If you make such an objection, we will cease to process your personal data for this purpose. 9.13 You may exercise any of your rights in relation to your personal data by written notice to us or emailing rachel@modernbarber.co.uk. 11.1 Our website and services are targeted at persons of any age with an interest in our publishing services and products. 13.1 In respect of your name, email address, location, role and expressed interest, we do not act as a data controller; instead, we act as a data processor. 14.1 A cookie is a file containing an identifier a string of letters and numbers that is sent by a web server to a web browser and is stored by the browser. The identifier is then sent back to the server each time the browser requests a page from the server. 14.2 Cookies may be either “persistent” cookies or “session” cookies: a persistent cookie will be stored by a web browser and will remain valid until its set expiry date, unless deleted by the user before the expiry date; a session cookie, on the other hand, will expire at the end of the user session, when the web browser is closed. 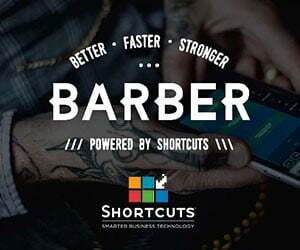 16.3 Modern Barber Ltd does not utilize AdSense. 19.1 This website is owned and operated by Modern Barber Ltd.
19.2 We are registered in England and Wales under registration number 6084337, and our registered office is at Three Acre Barn, Thorpe Road, Upper Wardington, Oxon OX17 1SP. 19.3 Our principal place of business is at Three Acre Barn, Thorpe Road, Upper Wardington, Oxon OX17 1SP. 20.1 We process information. Modern Barber Ltd is not a data controller. 21.1 Modern Barber Ltd has no European Union representative. 22.1 Our data protection officer’s contact details are: rachel@modernbarber.co.uk.